Today we tried to find a tour to the Ural countryside and villages. But we failed. How many of you would be able to name a taiga, a tundra, or a steppe? Steppes are grassland plains without trees. It can be either a prairie, or a semi-desert, etc. In Central Asia, you’ll find that type of geography in the green areas colored on the below map. And actually, the name has a russian etymology. I’m gonna meet steppes in Russia, West China, and Kazakstan. Tundra. I’m not gonna cross any. Tundra develops under cold temperatures, below the North pole basically, in Canada and Russia – Light green on the map below. 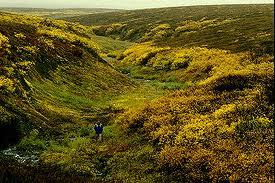 This is a typical tundra’s landscape. 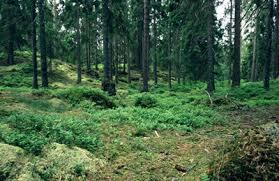 Whereas taiga is made of coniferous forests. In Eurasia, it covers most of Scandinavia, much of Russia from Karelia in the west to the Pacific Ocean (including much of Siberia), and areas of northern Kazakhstan, northern Mongolia, and northern Japan. This entry was posted in Russia and tagged landscape, trans-siberian by Stephanie Nedjar. Bookmark the permalink.